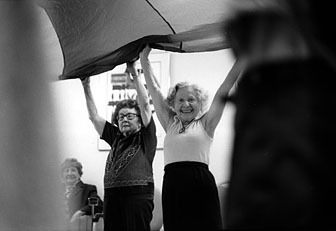 (Left: Sandy Schonberg, in white shirt, works out during an aerobics class at the Jewish Home in the Bronx, New York. Photographs and text ©Susan Stava 1999. The average life expectancy in the United States is 76 years. Not only are many people living longer than this but they are also living stronger, fitter and faster lives. 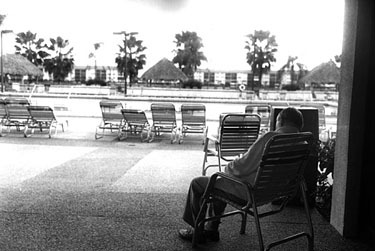 The meaning of growing old in America is starting to change.